Indiana treasure exists! And here you can make plans for your road trip with kids while exploring treasure hunting Indiana. 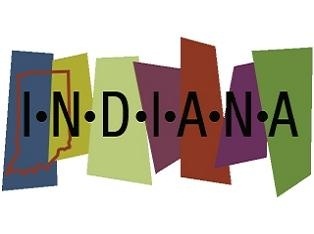 Indiana was inhabited by nomadic Indians as far back as 8000 BC and going treasure hunting Indiana is a chance to explore thousands of years of human history and a geological history that dates back millions of years! On a road trip with kids for Indiana treasure, families can create the kinds of experiences that everyone will continue to talk about for the rest of their lives! The numerous activities to be indulged in include gold prospecting, buried treasure seeking and enjoying endless hours of fun searching for geodes, fossils and gems. Indiana is not thought to have a major amount of gold but small amounts have been found in the state. Families armed with knowledge of where to look, can likely find enough of this Indiana treasure to earn a little profit. Searching geological maps and reports can give you a good idea of where significant quantities of gold have been previously found, such sites may still contain some gold and are good starting points for treasure hunting Indiana. Prospectors have reported finding gold in Morgan County around Gold Creek. At the Morgan-Monroe State Forest in South Central Indiana, it is also possible to go gold panning. Permits are required but can be obtained without charge. The 24,000-acre park also offers fishing, boating, hiking and hunting. Great addition to your road trip with kids. If the search for gold is a top priority when treasure hunting in Indiana consider a visit to the Jellystone Park in Knightstown. The park has a recreation of a gold camp from 1860 and miners can take part in free panning lessons and maybe find a few gold nuggets as souvenirs. Besides gold, the search for other Indiana treasure is also possible and gem mining in particular can be the perfect outdoor activity for family fun. In Southern Indiana, the city of Marengo offers the Marengo Cave attraction. The cave was originally discovered in 1883 and features startlingly beautiful formations. For just a few bucks, families can mine for gems and search for rubies, arrowheads and even fossils. Another cave worth exploring for gem mining or rock hounding while on your road trip with kids is the Squire Boone Caverns. The caverns are located near Corydon Indiana and were carved out over millions of years, allowing interesting geological formations such as flowstones and stalagmites to develop. During the summer months, families can visit the sluice area to search for Indiana treasure including gems and fool's gold. Also on site is a historic village featuring candle dipping, soap making and grain grinding demonstrations. 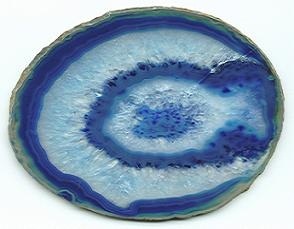 Indiana treasure hunting is not just about making a profit it is also about creating memories and with geode collecting you can do just that. This stimulating rock hounding activity also gets kids paying attention to science. Treasure hunting Indiana for geodes can likely be done in number of different areas. One fun location for geode collecting that RVing families have commented on is the Newton County Stone Quarry in Kentland, also simply known as the Kentland Crater. If fossil hunting is a family tradition, the US 27 road near Richmond is a rich source of fossils from the Ordovician Period, a geologic period that occurred over 400 million years ago! Fossils found here tend to be very well preserved. Another favorite spot for fossil treasure hunting is right in Richmond at the Whitewater Gorge Park. Formed during the last ice age, the gorge is the convergence of three branches of the Whitewater River. Look within rubble piles, hiking trials and along creeks to find fossils suitable for adding to your collection while on your road trip with kids. Indiana treasure hunting can also be done indoors if you know where to look. When traveling through Kokomo, stop at the Treasure Mart for a unique adventure. The antique and vintage treasure store has a weekly Facebook challenge going on. Simply find the item in the store that has been tagged with a Facebook emblem and the item is yours for free! Round out your treasure hunting experience by considering some of the local legends about buried riches in Indiana. Lawlessness was a part of life in the period following the Civil War and a number of outlaw gangs flourished including the Reno Gang. Headquartered in the town of Seymour they made a small fortune through train, bank and post office robberies. Tradition has is that much of their treasure may be buried between Rockford and Seymour. To improve your chances of finding buried Indiana treasure, go online, consult with treasure hunting books and check out library books. A little knowledge can put you on the right path for getting immersed in treasure hunting Indiana while on your road trip with kids.